We are starting Buy Points Campaign from today November 17, 2017 at noon to February 15, 2018 (Japan Time, UTC+09:00). You can earn 10% more points than usual every time you buy member points. For more details, please check the [ Buy Points ] page (login required). Also, if you have purchased points after the recent reward point system change, that is between November 14 at noon to November 17 at noon, +10% point compensation are added to the points in your account so that you are not disadvantaged. As of today, November 14th 2017 at noon (Japan Time - UTC+9:00), how you earn your reward points will be partially changed. If you make a purchase using points, the points you will be eligible for will be based on the total amount paid after the deduction of the points was applied. A transaction made entirely with points will not be eligible for reward points. A transaction made partially with points will only be partially eligible for reward points based on the total amount paid after point deduction. If your cart contains products with different reward point rates, the deduction of points will be applied preferentially to the products with a lower rate (so that you can earn more points for the products with a higher rate). How you can earn your reward points will stay the same: points are attained by rating a purchased product. This new rule will be effective today at noon (Japan time) and will be applied to purchases made thereafter. If you rate products that you purchased prior to that time, this rule does not apply and points will be issued in the same manner as before the rule change. 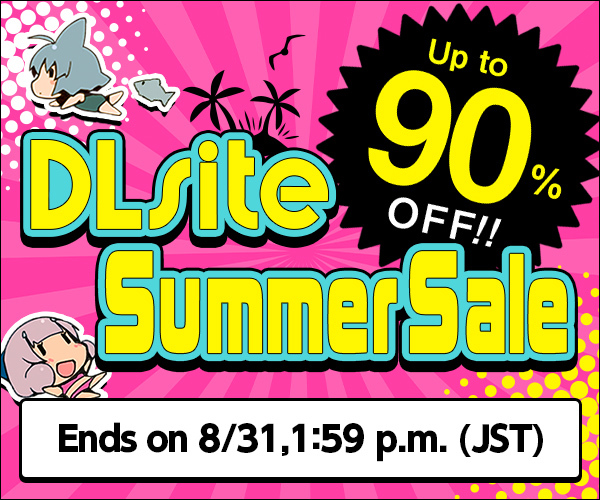 DLsite.com English is conducting a survey to find out how we can serve you better. If you could spare some time to answer the questionnaire and share your thoughts on our service, it would be most appreciated. To participate, please go to [ 2017 DLsite.com English User Questionnaire ]. * This survey is conducted using Questant, a third party questionnaire service. * The collected information will be used only as aggregate results and all responses will be completely anonymous. * The results will be used exclusively for improving our service. The survey takes only 5-10 minutes to complete. The more feedback we get, the better equipped we will be to improve our existing services and develop new ones to meet your needs. We hope that you take part in our survey. Thank you!